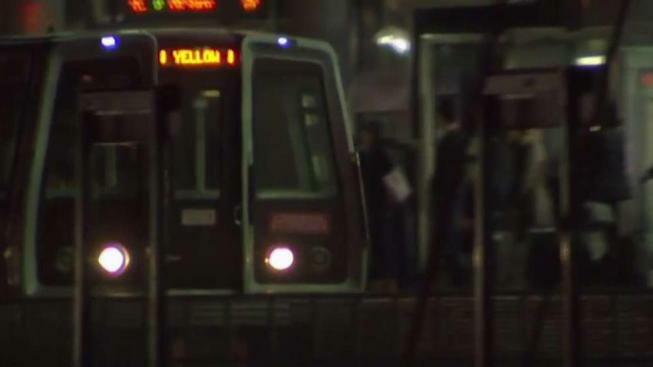 Metro's Yellow Line began a two-week shutdown for repairs Monday that will last through Sunday, Dec. 9. You can use the Blue Line to travel between Virginia and D.C., Metro officials said. The Blue Line will also serve the Eisenhower Avenue and Huntington stations. But expect delays and crowding because train frequency will be cut by half during rush hour. Trains will run every 16 minutes during the day and every 20 minutes after 8 p.m.
Metro says the Rush Hour Promise refund program will not be in effect for Yellow and Blue line trips. The Yellow Line will be closed for two weeks starting Monday, Nov. 26 for track work on the bridge across the Potomac. News4's Adam Tuss reports. The closure comes about two weeks after two Blue Line stations closed over Veterans Day weekend, causing traffic chaos near Reagan National Airport. Free shuttles from Pentagon to Franconia-Springfield or L'Enfant Plaza stations until 8 p.m.
Free shuttles during rush hour between Crystal City and L'Enfant Plaza. 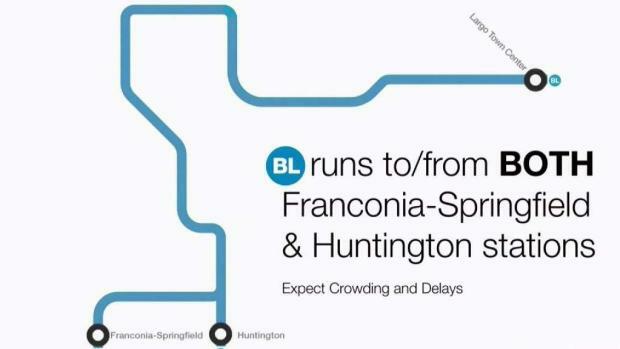 Nonstop free shuttle between Franconia-Springfield and L'Enfant Plaza during rush hour. On Saturday, Dec. 1 and Sunday, Dec. 2, the Archives and Waterfront stations will be closed. The lower level of Gallery Place and upper level of L'Enfant Plaza will also be closed. Shuttle replacements will be available. The two-week closure will allow crews to complete repairs, especially around the Yellow Line bridge over the Potomac. Metro says the bridge is structurally sound, but the rails and tracks need maintenance in the area.